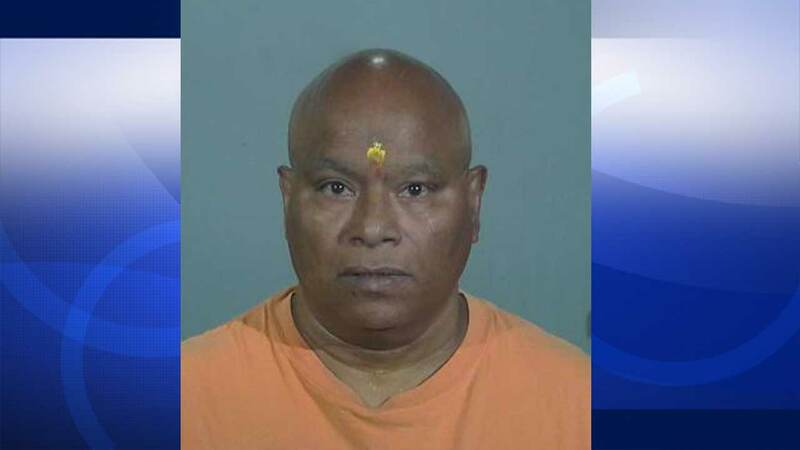 TORRANCE, Calif. (KABC) -- A market owner who claimed to be a Hindu monk was arrested on multiple felony counts after allegedly sexually assaulting female clients as part of his spiritual rituals. Gokula Nanda, 62, offered fortune-telling, healing and counseling services at his store, the Hari-Om India Market in the 20600 block of Soledad Canyon Road in Santa Clarita. The alleged sexual assaults took place in Torrance and Santa Clarita, police said. During the investigation, Torrance police learned that the Los Angeles Police Department and the Los Angeles County Sheriff's Department had investigated Nanda for similar offenses in 2005. Additional charges were subsequently added. On July 15, Nanda was formally charged with nine counts of sexual battery, sexual battery by fraud and sexual penetration by fraud. He was released after posting $100,000 bail pending further court proceedings. The investigation is ongoing. Anyone with information on this case was advised to contact the Torrance Police Department Detective Division at (310) 618-5570.